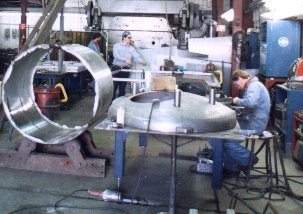 Advance Heli-Welders, manufacturing custom metal products to your specifications. Serving the S.F. Bay Area for 40 years!!! We also specialize in JIT Repairs, in-house or on-location. Cast Iron, Mild Steel, Stainless Steel, Aluminium, Brass, Copper.